Fate is a single player hack and slash series of games developed by WildTangent which players will find similar to the Torchlight series. The games offer a simple but enjoyable action RPG experience with demos available from the official website. 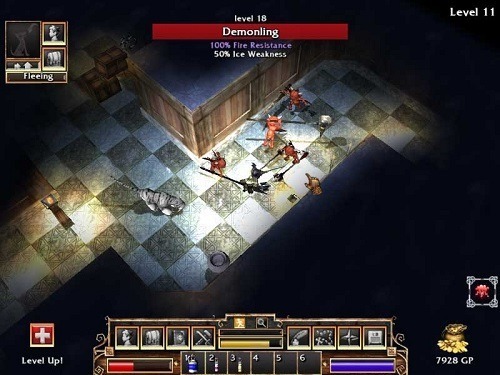 The original game launched in 2005 with expansion packs being released in 2008 (Undiscovered Realms), 2009 (The Traitor Soul) and 2011 (The Cursed King). Each expansion pack adds new content to the game including levels, items, spells and additional characters. The game also features an active mod community which has created hundreds of custom mods from basic item and skill additions to complete game overhauls. Fate does not use a class system which means players can create unique characters and combine skills from several archetypes to create their perfect character. The game does have different characters to choose from though (Human, Elf, Orc and many more) which come with some intrinsic stat benefits, meaning some may be suited to better roles. 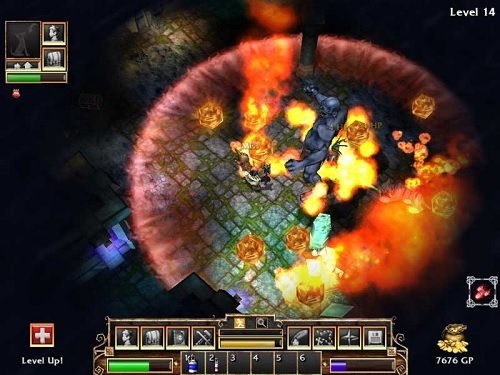 Fate is a Dungeon crawler similar to the original Diablo game and has players adventuring deeper and deeper to complete a main questline. On the way down players will encounter a variety of monsters, side quests and loot while also improving their character stats and skills. Similar to action role playing games Fate uses many random elements (level design, loot and questing) so no two playthroughs are the same. Fate also offers pets and fishing which players of the Torchlight series will be familiar with. The pet system allows players to sell items without the need to travel back to town and also offers players some extra damage in battle. Fishing takes place at the various fishing holes in the game world and is primarily used as a way to boost or transform your pet but players can also use it to obtain rare items. Casual action RPG with plenty of content. Pet system keeps you in the action while they run back to town. Fish for rare items or find fish to transform your pet. Randomly generated levels, quests and loot. Plenty of mods to add a variety of game features. Looking for an iPad version of this game and others similar. Loved “Fate” on PC and hoping for a version for iPads.